For a long time revocable living trusts were touted as a way that married couples could pass more property free of estate tax. Some of this was unscrupulous, hucksters in the smoke-filled back room of a bar hocking estate plans out of a box, and all of that. But some of it was legitimate, because revocable living trusts do allow an easy way for married couple to take full advantage of what we call “portability”. Preparing for a Possible Reduction in the Exemption. While the current law makes the indexed $5M exemption “permanent”, nothing in really permanent in Washington. To the average voter, five million dollars sounds like a lot of money. It is easy to see how the exemption amount could be lowered at some point, even if it is quite unlikely this year. Planning to “Lock-In” the Full Exemption. If the surviving spouse remarries and is later widowed again, portability is lost unless there was an exemption trust. Appreciation. 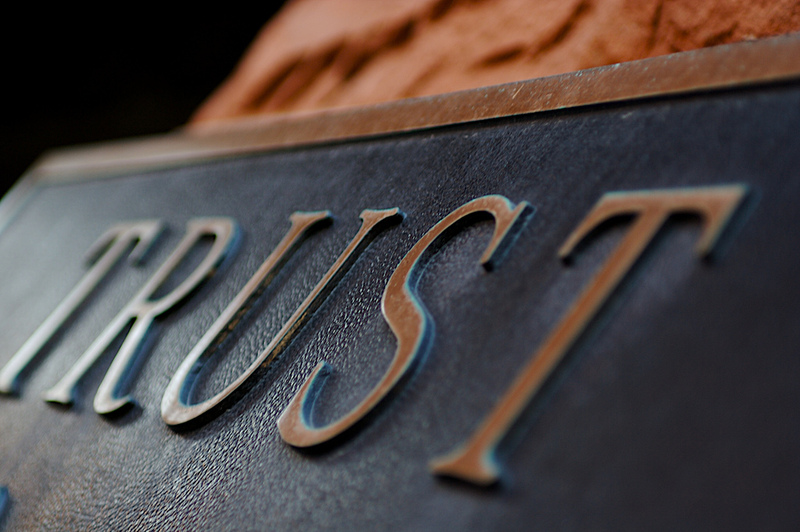 The funding an exemption trust can be used to protect appreciating assets from estate tax. Planning for Blended Families/Control. The exemption trust cannot be changed by the surviving spouse, making it a useful planning tool for couples with “his and hers” beneficiaries. It also protects assets in the event of remarriage and subsequent divorce. Planning for Long-Term Care for the Surviving Spouse. If properly set-up, the assets in the exemption trust are exempt—that is right—EXEMPT from the creditor’s claims of the surviving spouse. If the surviving spouse requires long term care, the assets in the exemption trust are preserved for the heirs, not paid over to a nursing home or subject to a Medicaid spend-down—as well as other creditors or lawsuits. Planning for State Estate Taxes. Although North Carolina has no longer has an estate tax, numerous states do and the exemption amounts are generally much lower than the federal amount. (And no state has adopted the “portability” concept.) It is not uncommon for a surviving spouse to move, e.g., to be nearer to children. If the surviving spouse moves to a state that imposes an estate tax, the exemption trust may prove to be quite valuable. Planning for the GST. The Generation Skipping Tax (GST) comes into play when assets are left to grandchildren. Portability does not apply to the GST tax, so in order to fully leverage the GST exemptions of both spouses for GST trust planning, it will still be necessary to create a trust at the first spouse’s death. There are basically two ways of setting up exemption trusts. The old-school way, which was to use an A/B Trust. And the newer way, using Disclaimer Trusts. I will explain the difference in a subsequent post. But once again the key to estate planning is the ‘planning’ component. When people think of an estate plan, they usually think of a pile of papers. But the papers at best only implement the plan, and at their very best they are only as good as the underlying plan they seek to implement. You need a plan. Why not give us a call so that we can start work on your plan today?